Welcome to this meticulously rehabbed home in the great Providence Place subdivision. This 3 bedroom 2 and a half bath home is replete with updates. Starting off, the home has had a brand new roof installed in 2018 with 20 year shingles. Step inside and be greeted with brand new hardwood floors in your dining room! The home has been completely repainted, new carpet and lighting throughout also. Your eat in kitchen with breakfast bar has granite counters, new stainless steel appliances, and custom cabinetry. Upstairs the master bedroom suite has vaulted ceilings, with full bath and walk-in closet. The master bath has granite counters and separate soaking tub and shower! 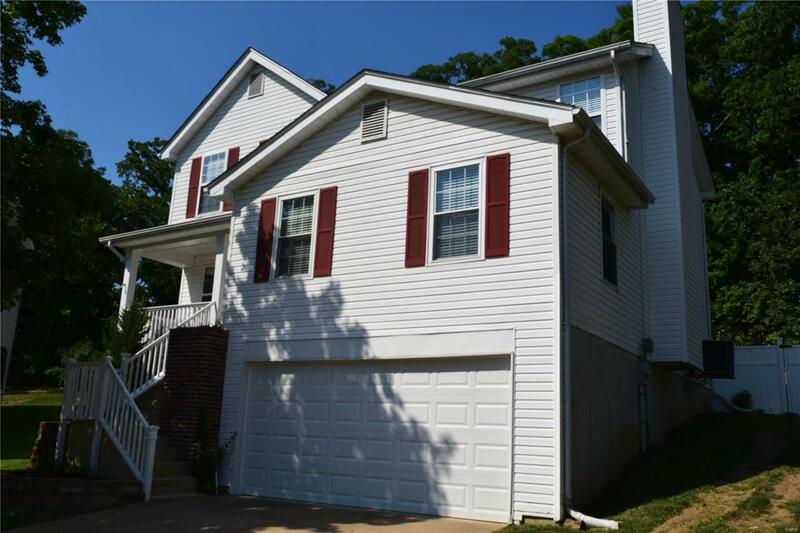 There are two additional large bedrooms upstairs, along with an updated full bath. There is a finished bonus room in the basement, along with storage! Located just off of 55, and is just 5 minutes from shopping and entertainment at south county center! Don't miss out on this great opportunity for a great home!